Real estate broker Marty Higgins disliked the head shop vibe on his trips to local medical marijuana dispensaries, so he created an upscale dispensary, Harvest on Geary Boulevard, that opened in the spring. 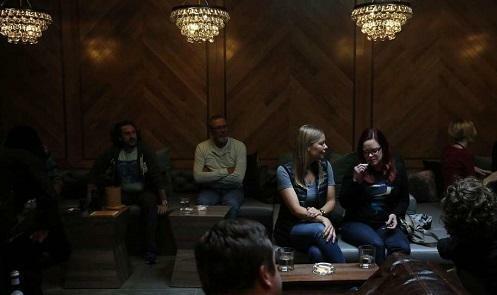 Last week, he went even more posh, announcing the creation of San Francisco’s first private cannabis club. Harvest is not the first dispensary to allow smoking on site. The city’s Medical Cannabis Act of 2005 technically allows for smoking at all dispensaries, but the Planning Commission has the power to deny on-site use.